Imagine being born in the 20th century, yet knowing nothing of electricity, or a plane, an automobile, or any technology. You haven't even seen a building taller than two stories. And then one day you are confronted with the modern world. Worse yet, you were raised in chaos, without the proper guidance a child needs. What would you make of your existence in the complex modern world? Could you thrive? Could you even survive? 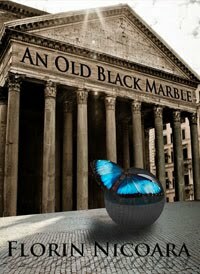 An Old Black Marble is a psychological thriller about Cipiran Indre, a man born in Eastern Europe, in the middle of WWII. His life is destined, by the fate of his birth, to be one of pain in a world with few options. Then one day, while still a young boy, he finds a little black rock with a peculiar shine. It's nothing, but he likes it, it's the size of the hole in his heart, so he keeps it. Yet in no time, as one disaster flows into another, his little shiny rock becomes something colder, something darker. It becomes his nemesis, turning his whole world inside out, setting him on a quest that most of us would not wish on our worst enemy, yet in the end something truly magical does happen. Everything was in fact as it seemed, but nothing is the same. Perspective changes everything. 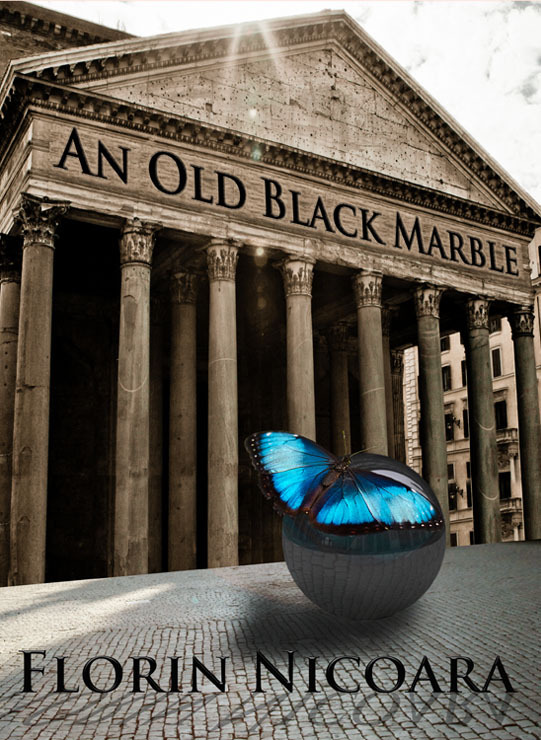 Discover the mystery of that Old Black Marble. From the beginning of time everyone has been searching yet no one finding, that age old quest for peace and freedom from pain. Maybe it can't be found. Or can it? Cyprian searched a lifetime, seemingly in vain, yet at the nexus of his existence he finally found it, all wrapped up in a long forgotten old black marble. But you don't need a lifetime. 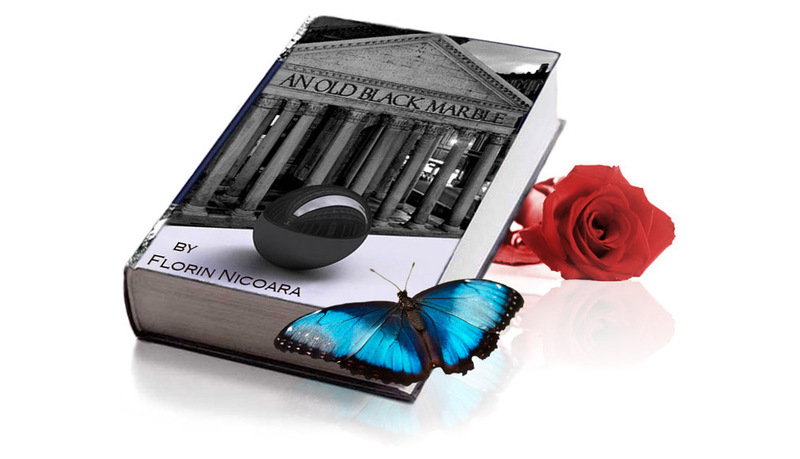 You just need to read An Old Black Marble and enjoy the thrill ride of your own discovery. An Old Black Marble is NOW available! Or get the hard copy! And if you would like to read excerpts from An Old Black Marble simply scroll down below The Biker. Read my books, enjoy and send me your feedback. 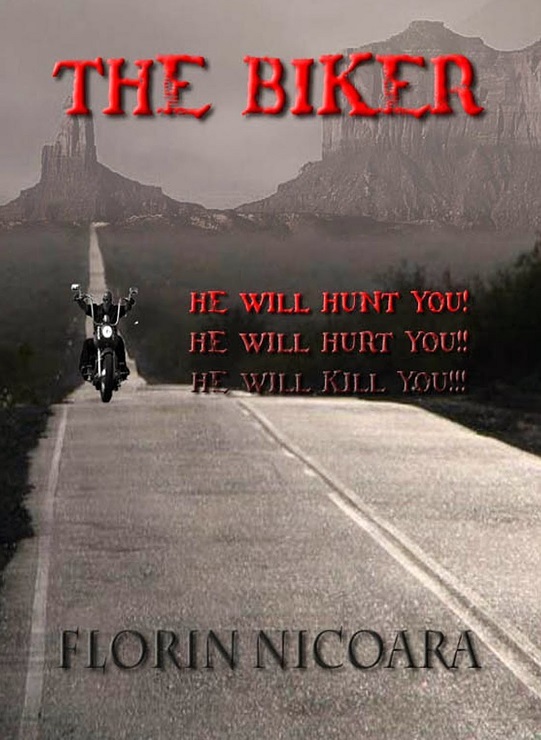 The Biker is NOW available! Imagine The Good, The Bad, and The Ugly, sprinkle in some Mad Max, and add a dash of The Terminator; so what’cha cooking? THE BIKER! Oh, and I almost forgot. The garnish. Yes. The Biker is garnished. Unlike the three fore mentioned films the Biker delivers a little more. It has that extra touch that makes the difference between a good dish and a gourmet delight. It is not only an exciting calorie filled action desert, but a well balanced feast capable of causing even the most hardened tough guy to shed, if not a full tear, at least a half. Are you hungry yet? So what am I talking about here, food, film, or an engrossing novel? It is neither food or film, nor film in food, but it is definitely food for thought. 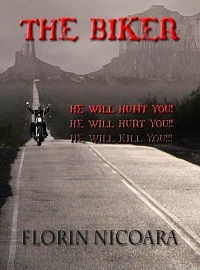 The Biker is a fast paced thriller that reads more like a movie in your mind than a book in your hands. 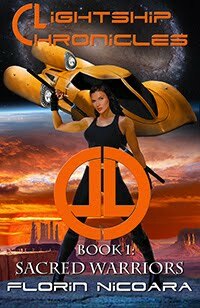 The action in this tale is about a mysterious Biker who suddenly springs forth from the desert dust, like a lost horseman from some other apocalyptic time, unleashing a murderous rampage on the outskirts of Las Vegas. Bruce, a decorated detective, and his protégé John, arrive on the scene and come face to face with the horrific devastation in the wake of this single man. Both detectives make it their mission to take this mad man down, but instead, embark on a journey of personal devastation blurring the lines between good and evil and right and wrong, taking them beyond their most terrifying nightmares. Who is this biker that seems more powerful than anything Bruce and John have ever confronted before? Find out... in The Biker! I walked in through the gate still lost in my thoughts. I casually headed for the well when I heard some distant voices as if coming from another world. I looked in their direction, and as if looking into a dream, I saw three magical beings. I recognized one, Anita, but her two friends I had never seen before, yet all three were just feet away. The silent strangeness of that day was vanquished under the force of panic. I hesitated my next step and then came to a full stop in the middle of the courtyard. I suddenly felt trapped between the girls, who were sitting on porch steps, and the well. I felt an urgency to escape that trap and run away, and I would have, had it not been for my overwhelming thirst. A battle began brewing in me. I could feel their eyes penetrating into my bones and my mind began its usual struggle until a voice interrupted my strife. It was in Hungarian. It took me a moment before I realized one of girls was talking to me. My fear demanded I run while at the same time a strange desire kept me in place, but with anger. I couldn't understand why, but I suddenly felt enraged. I heard the voice again and this time I understood what she said. A strange feeling interrupted my rambling thoughts. I mindlessly leaned forward past the sill, and looked at the outer corner of the barn, and there, like a magical creature formed out of the dusk itself… stood Erzsi. My eyes flinched unsure if she was real or a mirage, but when she responded with a smile, in her mischievous style, I knew she was real. I felt an urge to indulge in my friend fear, but I was too far gone into the magic of dusk for that and ended up losing myself in her eyes. Locked in each other’s gaze she slowly began gliding towards me. I watched her stroll and then dance her way past me into the barn. I could tell she started out the day in her Sunday best but as the day wore on, and the heat got hot, her layers came off. She was wearing her little boots, a long skirt, and a simple tunic with embroidered sleeves no longer than her forearms. She had a playful rhythm in her step. She hopped from her heels to her toes as she twirled around the pile of corn, swinging her arms like a ballerina as she headed my way. I stayed my spot, my arms crossed and leaning with my back against the post. As she got close she looked at me with a smile so sweet, but so potent, it caused my nerves to teeter. The power this girl had over me was incomprehensible. She was magic. She was awesome. She was beyond words. I felt a need to hate her with all my venom, but a mere glance into her eyes melted all that hate away. I no longer cared what she had done in the past. All I wanted was to feel her soft tender body next to mine the way I did back in that cart. I headed for the house and casually strolled in. My father was at the table with a chunk of smoked bacon in his left hand. With his right he was cutting little bites with his pocket knife, trapping them between his thumb and the back of the blade, and then bringing the freshly sliced pieces to his mouth. With the same hand, he would then pick up his bread while still holding the knife. Mircea was to his left, on the bench, doing the same. My mother was by the stove stirring a pot of mămăligă, a type of Romanian polenta. I stood in the doorway and watched them for a moment. My father looked at me but didn't say a word. My mother made some comment about sitting down to eat but I wasn't listening. My attention was on my father, and he quickly noticed. He stared back at me for a moment and then looked at my right hand. His eyes then moved from the letter to me. I could read concern on his face and then a moment of indecision. A second later he cut off another slice of bacon and directed it to his mouth with his thumb and blade. I wanted to move from the spot but I was frozen. I wasn't sure what to do next. I looked to my mother, but she was wrapped up stirring her mămăligă on the stove. “Look at what your son has done.” My father’s voice jolted me and I quickly looked back at him. He was casually slicing into the smoked bacon while still chewing on the previous piece. “What did you do Ciprian?” My mother’s voice jolted me back to her. She was awaiting an answer with her expression, but then broke it when she moved the pot to the side of the stove. The mămăligă was ready. I raised my right hand without saying a word. I expected my mother to yell when she saw what was in it, and she did, but not at me, at my father. She snapped at him for letting me read the letter. He snapped back, retorting that he had nothing to do with it. My mother turned back to the stove, picked up a knife, a chunk of smoked bacon, and began furiously cutting off bite size pieces using the same technique as my father, but dropping them into a hot pan. They sizzled. I looked away from the sizzle at my father. Then back at my mother. I had no idea what to do. I was lost in the aromatic crackling of the bacon my mother was stirring in the hot pan. I turned to the dresser on my right and swiftly placed the letter back in its drawer. I looked back towards my mother. She was tossing three fistfuls of freshly diced sauerkraut into the pan. The sizzling aroma imbued the room as she stirred the sauerkraut in with the bacon. I walked to the table and sat opposite my father. My back was next to Dumitru’s bed. He was peacefully snoring away. I looked at the little old lady as she agitatedly stirred the sauerkraut and bacon. The room boomed in the sizzling symphony of that aromatic dish. I realized I was very hungry. I looked at my father. He was wrapped up in his bacon and bread. I looked at both my parents and I slipped out of time, or time slipped away from me. It was probably just a minute, maybe two, but it felt like an eternity. Dumitru’s sniffles and snores were now distant echoes, and then an eon later my mother snapped me out of it when she approached with two bowls, one for me, and one for Mircea. The bowls were full of steaming mămăligă with a blanket of sautéed sauerkraut and bacon. She dropped them in front of us without a word. On the table there was a bowl of sour cream. After Mircea, I scooped a spoonful of cream and splotched it on top. I then indulged in the delightful dish. “Did somebody say dinner?” I heard Dumitru’s voice as he rose behind me. His comments were often followed by laughter, since he had the uncanny ability to wake up exactly when the food was served, but today the only response was heavy silence. I looked at the stillness and knew something was wrong. I jumped out of my truck and headed towards Gheorghe’s office but there was no one in it. I checked a couple of other offices and that's when I heard a voice coming from behind the main warehouse. I walked through and out the back. Everyone was assembled in an almost military fashion, in a way I had never seen the workers at this warehouse before. The next thing I noticed were the men in suits standing on a truck platform, one of whom was speaking to the crowd. Behind them there were several armed Romanian soldiers. As I got closer I noticed another man rush from the platform holding in his hand what I thought was a tablet with invoices or other documents. He was heading straight for me. He didn't even come to a stop before he called out my name and asked if I was in fact Ciprian Indre. A bit perplexed I replied that indeed I was. At that point he came to a stop but then turned around and asked me to follow. His spastic actions betrayed his short fat round little body. He bounced, more so than run, on his stumpy little legs as he hustled me up to the platform and next to the crowd of men in suits. What happened next sent me into world of confusion beyond any measure. The portly little man rushed to the speaker, interrupted him, and whispered something in his ear. The speaker then looked my way and signaled me to approach. Clueless to what was going on, I approached. I waited and listened as he continued his speech but this time his words sent shockwaves through every cell of my being. In his first sentence he called me out as “the accomplice”, Gheorghe’s right hand man. He said that I was the worst kind of criminal. Using the people’s tools, like the capitalist pig that I was, to benefit only myself. He said that Gheorghe was already on his way to prison, and after that speech I would follow, hence forth crimes against the new Socialist Republic of Romania would not be tolerated. I stood there too confused to be afraid or even protest. The speech was short and over before I could consider protesting thought. The next thing I remember is being manhandled by the soldiers and dragged into Gheorghe’s office. I sat against my Mercedes in the shade of that lonely tree and lost myself in the horizon. It was hot, but a gentle breeze kept my feelings cool. I swelled my chest drinking in that breeze and that's when I noticed the ripples on that grassy golden sea. It was their sway. I stared and then lost myself in a moment of awe. Something... something about the way the breeze caressed the tips of that grassy plain, the way it forced the whole lot into a dance of whirling ripples like those on a pond, enraptured me. I watched as hills shuddered and swayed like the hide of a living being. It was so familiar... but my thoughts twirled with the grassy sea and I lost the feeling. For updates with new FREE offers please follow me on Twitter and Like me on Facebook.